Gotta love a ski resort. Well – some of you love them in winter, but this one is spectacular in summer! While Parade has never been called “relaxing”, we invite you to join us in the scenic mountains and great back roads of northern Vermont. 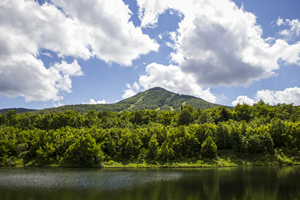 Jay Peak is the picture of serenity. The Resort will host our usual favorites in the base lodge, and our housing will dot the landscape in surrounding condos. There will be plenty of action in the schedule, beginning of course with ‘clean’! 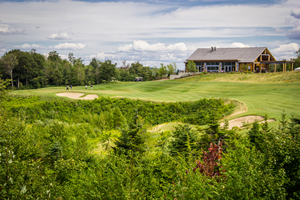 The Concours will be held at the Jay Peak Golf Course, fairways 1 & 9. The layout might be somewhat typical, but the view isn’t. They even have a “wedding barn”, built just to capture the vista from the bluff above our site. Yes – our photography team will live there! Parade Autocross will be hosted at the resort affiliated Newport Airport nearby, and we know Leeds will have a challenge ready for us. Rally – what can we say? Beauty. The mountains reach the sky, but we know our rally masters will ensure you enjoy the winding roads even more! Your annual favorites, car wash, check-in, hospitality, goodie store, art show, beer and wine tasting ….all on complex. Refer to the The Lodging and Events Diagram for locations. Don’t forget your passport or enhanced driver’s license! Some messages have been routed….. you may have noticed? Yes, we’re catching up with you early. Time to face facts. We love our cars, AND our friends, AND it seems – Parade! We’re changing our process to enable improved fair access to housing. We do not want to cap Parade attendance, but we’re planning on the potential that on site rooms will be tight once again. We are going to begin booking DECEMBER 19th. Those of you who think & coordinate ahead – you will know if you have host hotel housing before you formally register for Parade. We have dusted off our oversubscription policy, with intent to let YOU decide on housing options BEFORE registering fully for Parade events. See details in the Phase 1 Housing document. Come April, you will register for Parade on the PCA - Parade website as usual. By then you will have received the code to book a room, or worked with our housing service to identify a nearby alternative. If confirmed in Parade housing of any kind, you can retain your reservation at our block rate once registered for the event. Housing will remain available to entrants only, but the ability to register for hotel FIRST, offers YOU the option to decide if staying somewhere a bit further away is acceptable – AHEAD of having to go all through the lengthy event sign up. Our PCA block includes over 700 rooms on property at PCA Parade special rates. We have a variety of condos and other configurations outlined below and in more detail on Jay’s website. Reference The Lodging and Events Diagram for locations. Each configuration is slightly different with various sleeping accommodations as well as bath count. Complimentary Water Park access from arrival to departure date: 6/17 to 6/25. -Upon booking, a deposit of 25% of your total booking will be charged to your credit card to hold your reservation. -Cancellation – no penalty if 7 days or more prior to day of arrival. Once your Parade entry is confirmed, you will receive the link to book. This limited information is provided to give you an idea of rates & types of rooming available. $130 one way, and $260 round trip per person (incl’s gratuity). 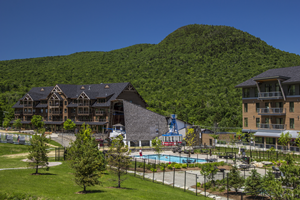 This must be booked at least 2 weeks in advance, call the hotel shuttle services at: (802)988-2733. Water Park access is FREE with your Parade reservation! Did we say – Bring the kids!? sandwich, salad /beer & wine @4,000 ft.